Givenchy came from Delmas to live in the Fond Blanc orphanage in April 2014 with his little brother Lovensky and their mother. His mother has since moved out, but he remains living here with his brother. He loves living here because he likes to be with his new friends. Givenchy is one of the sweetest boys here. He loves to color and sing songs. 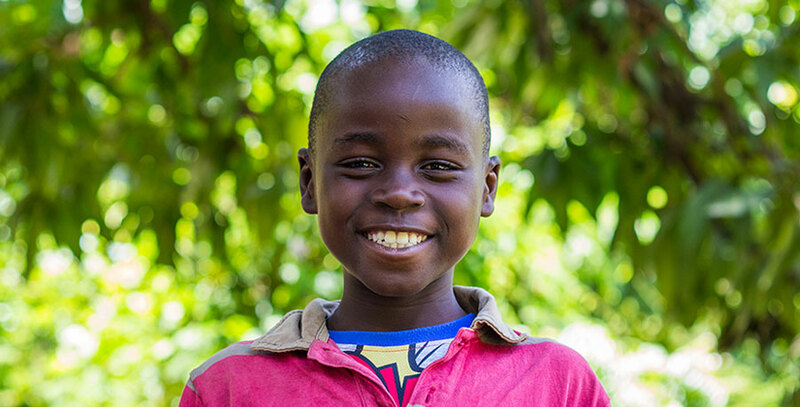 He also loves playing soccer and marbles, like most of the children here. His best friend at the orphanage is Clavenson. Givenchy has a curiosity of Jesus and loves hearing stories about the bible. He will often ask for bible stories and because of that, started our tradition of nightly bible stories with all the children. Around here Givenchy is widely known for his dance moves. He has a style all of his own and has recently learned what hip hop is! Now he entertains everyone with his moves. When he grows up, he would like to be an architect.